Dishwashers have become an appliance that many homes and businesses cannot live without, and they offer an easy and effective solution to piles of dirty dishes. Amazingly, dishwashers work on a very simple principle is essentially the same as having a shower. There is no high-tech secret that makes a dishwasher effective, and when you look at its mechanics, it is amazingly simple. Nowadays, with such a heavy focus on saving water you even get dishwashers that use a minimal amount of water or recycle their own water for re-use. This can become a problem of course if you have a drain blocked as water can effect your plumbing. Should you ever have this problem you can consult businesses like https://www.wilkinson-env.co.uk/drainage-services-cctv-surveys-midlands/ who will perform drain lining surveys and keep your drains running clear. To get a better understanding of the mechanics of a dishwasher, let’s take a look at how one works. 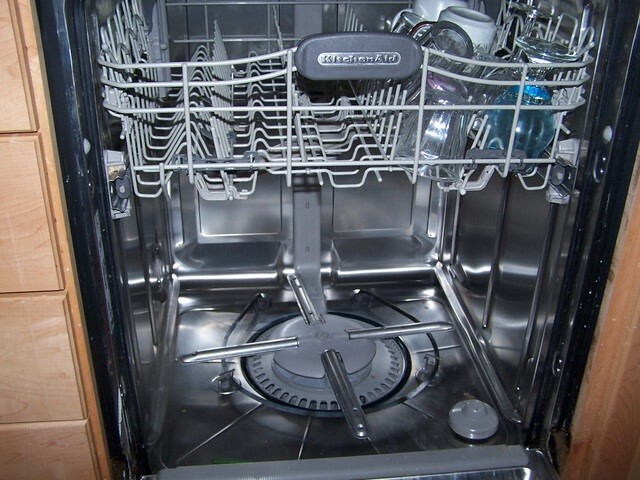 Once the dishwasher has been loaded and the liquid soap or tablet has been added, cold water is piped into the machine from your standard supply. The machine has a heating element at the bottom – and possibly on the sides – that is powered by electricity. The element warms the water up to between 30 and 60°C (86 and 140°F), and a pump then pushes it through the side walls of the machine. The heat of a dishwasher‘s water is important, as it is far hotter than any hand wash would ever be. As the water squirts out the side, it spins the paddle found at the top and in the middle of the machine around and distributes the flow evenly. The water then bounces off all the dishes in the dishwasher and falls to the bottom, where it is reheated and cycles again. During the wash cycle, the tablet or liquid soap will be released into the well of the dishwasher and the soapy water it creates will be sprayed across the plates. If you have used rinse aid, this will be released during the rinse cycle. After the rinse cycle, the paddle will come to a stop and the dishes can be removed as needed. The example given focuses on a cold-plumbed dishwasher, but there are also those that are plumbed with hot water. These will work faster because there is no need for an internal element to heat the water up.